Yes, here I am writing about another red color. Well, why not? I believe every lady should have a hot red color in her wardrobe. And well I for one have too many of them so here you go. 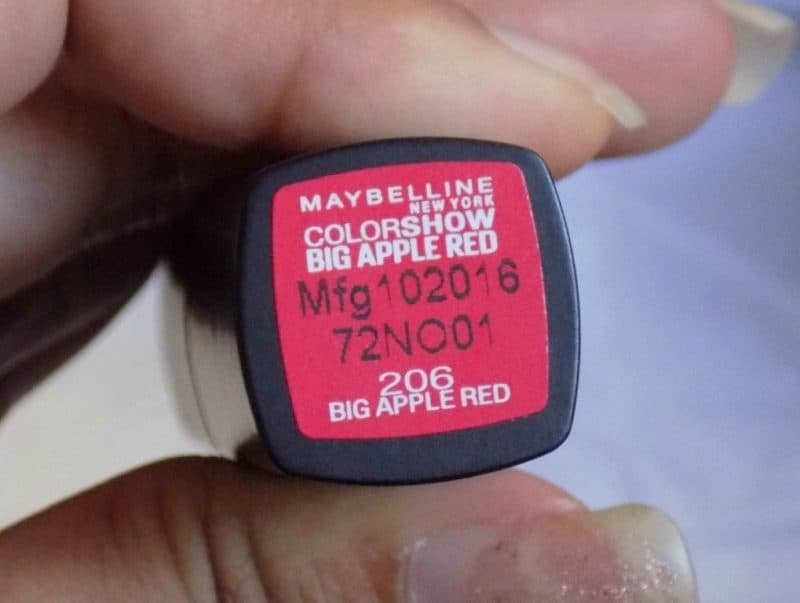 Today I bring to you the Maybelline Colorshow Big Apple Red. The brand talks about how moisturising the lipcolor is and stays on so very well. They have the right texture, fragrance and lasts longer than you think it does! Packaging: The packaging of the product is in the classic black color with a sleek red metal separating the body of the lipstick and the cover of it. Texture: Yes, it is hydrating and you certainly do not need a lip balm to apply before you put it on and this was something that I absolutely loved. 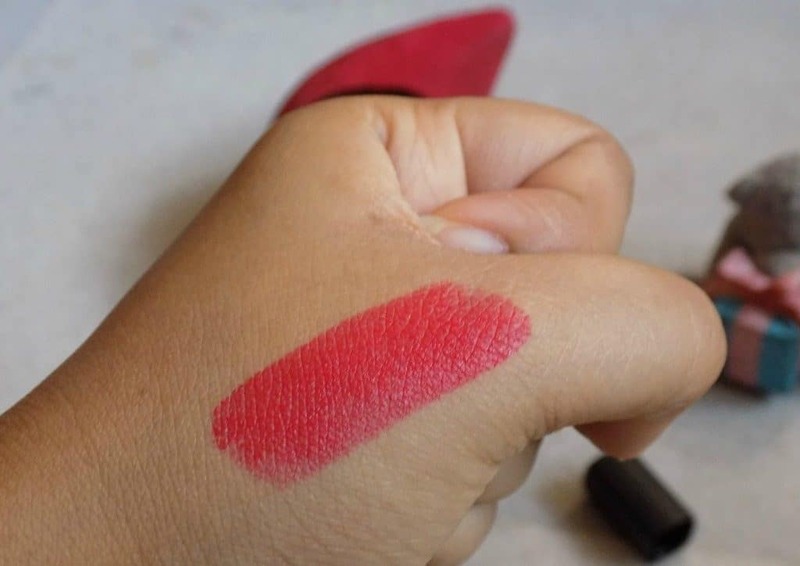 It does not feel stiff and no creases appear as you apply the color, you just need to swish it over your lips and ta da! Color: It certainly does justice to the name that it has been given because it is a bright red color. It Perhaps, it is one of those colours that you can wear in summers with one of your very flowly dresses and still make a statement. Scent: Call me crazy but to me it does smell like sweet apples. It has a sweet scent to it which for sure does scream like summer to me. A very fruity scent which surely does give you all the more reason to love this shade. Where and how to wear it? I prefer this shade as an outdoor day shade. Put it on with your summer and spring dresses and it makes the perfect summer statement that you got to make. If you have thin lips then you can definitely create higher peaks of your upper lip to give it a fuller look. Apply it lavishly to give it a darker and statement appearance whereas for a fun playful one just swish it once and voila! There you have it. Would I recommend / Repurchase? Beautiful color and affordable. 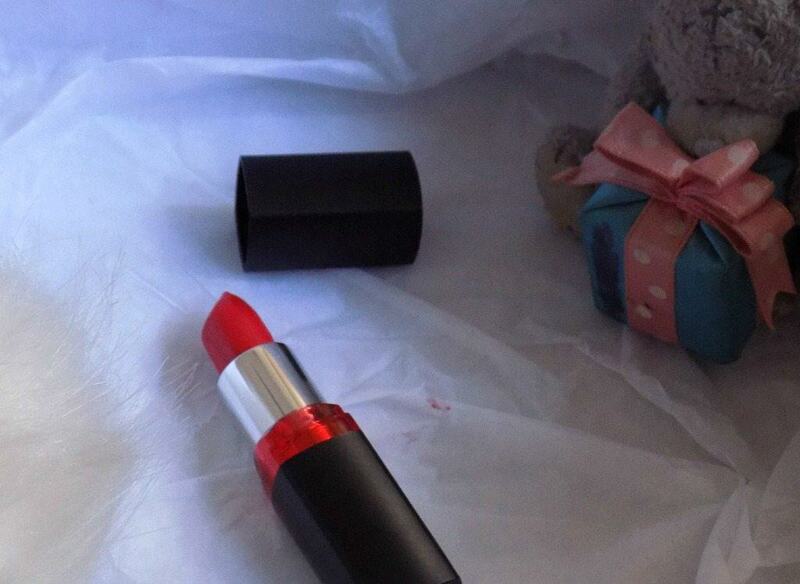 Consider it as a decent performance lipstick and you will not be disappointed. okay so finally a product with this awesome shade at an affordable price. Sign Up For Updates ! Sone on Eflornithine Eflora Cream Review – Does it Really Reduce Facial Hair Growth ? neha on Eflornithine Eflora Cream Review – Does it Really Reduce Facial Hair Growth ? Harleen Sethi Out and Katrina Kaif in ? @2015 - Glossypolish.com. All Right Reserved.